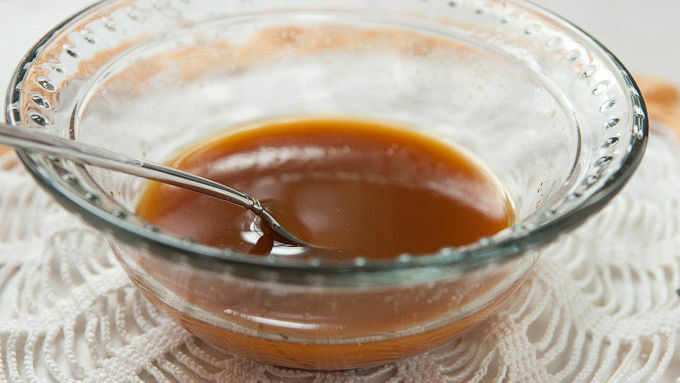 For sauce, whisk together beef stock, rice wine vinegar, sugar, soy sauce, chili garlic sauce and cornstarch. Set aside. 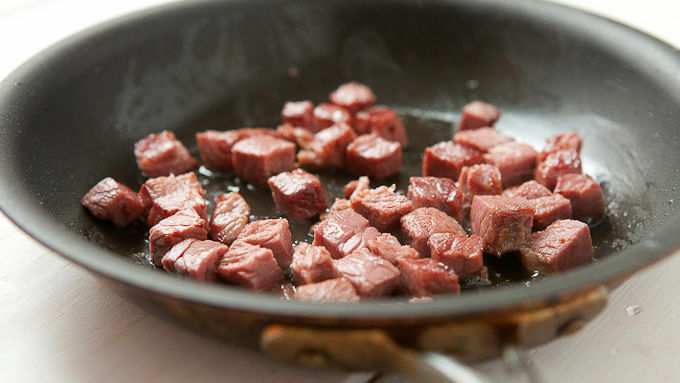 Cut corned beef into 1/4-inch cubes. In a large skillet or wok, add a drizzle of oil over medium-high heat. Once the oil is hot, add corned beef and cook until crispy on the edges, 4-5 minutes. Meanwhile, cook according to package directions. 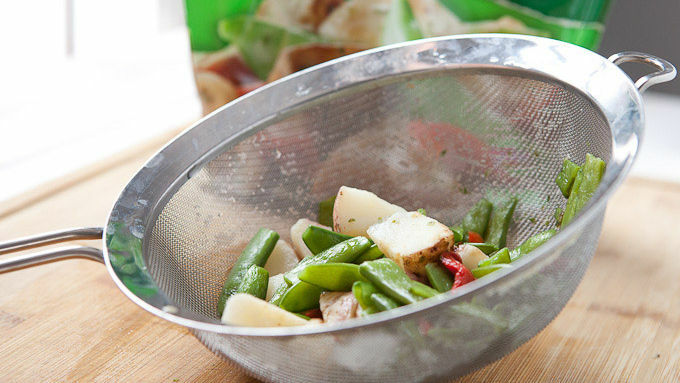 Since veggies will cook more in the stir-fry, use the lowest guideline for microwaving time. If the package has a sauce included, rinse the sauce off in a colander after cooking. 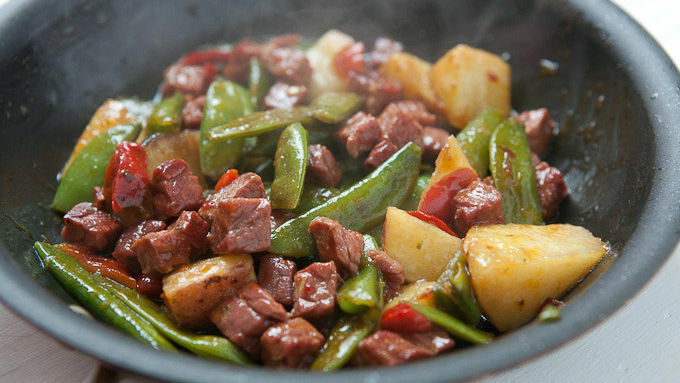 Toss thawed veggies into the skillet or wok with the corn beef and toss to combine. Cook until heated through. Pour stir-fry sauce in and let reduce for 2-3 minutes. Serve stir-fry immediately over rice with fresh cilantro and extra chili garlic sauce. If you're getting your corned beef from a butcher, have them slice it for you into 1/4-inch thick slices. 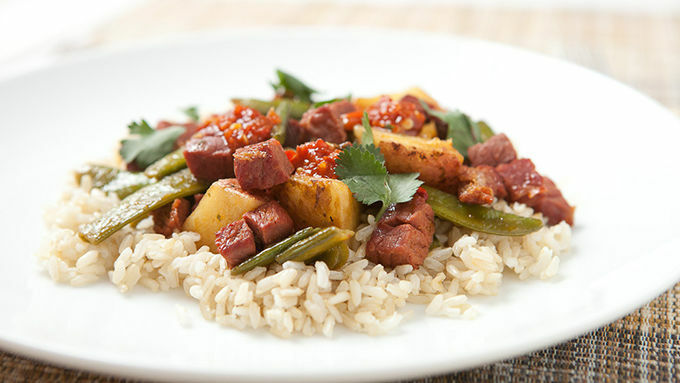 Stir fry is typically Asian, but this version has favorite St. Patrick's Day flavors. There’s nothing that signifies St. Patrick’s Day more to me than a big corned beef. I highly encourage you to make your own, but you can also buy a really good one these days. One problem: You will almost certainly have a lot of leftovers and probably get sick of eating it as-is. Stir-fry to the rescue! 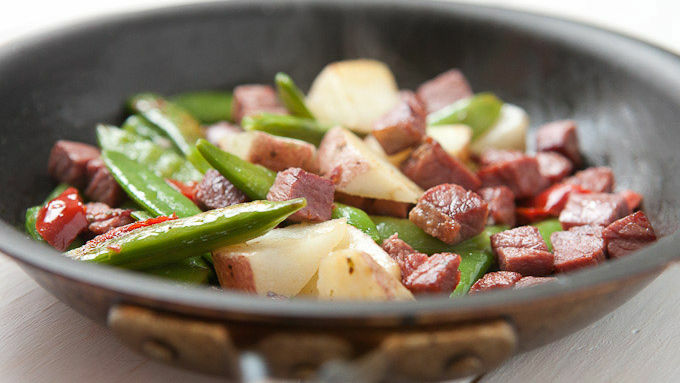 Corned beef is really flavorful, so you don’t need a lot of other stuff to make a great stir-fry out of it. Some veggies and a simple sauce will get the job done. The key to a successful stir-fry is having everything ready. You can use any kind of frozen veggies. If you're getting your corned beef from a butcher, have them slice it for you into 1/4-inch thick slices. This is a great, easy stir-fry. Serve it over rice and good luck to ya!